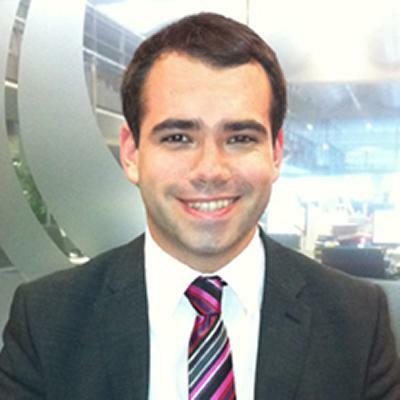 Hi, I'm Ben Rich and I studied BA Geography within Geography and Environmental Science at the University of Southampton. Journalism is about getting to the bottom of the facts, fast, and then communicating them effectively – skills my Geography degree played a huge part in honing. After graduating I did an MA in Broadcast Journalism and then went to work as a newsreader and reporter for commercial radio stations in Bristol and Manchester. Journalism is about getting to the bottom of the facts, fast, and then communicating them effectively – skills my Geography degree played a huge part in honing. In 2009 I joined the BBC, where I realised a lifetime’s ambition and became a weather presenter. I work mostly on local radio and the regional TV news programme Midlands Today, but I’ve also presented the weather on BBC One, the BBC News Channel, BBC World News and Radio 5 Live. Broadcasting live to an audience of thousands or even millions still makes me nervous, but it gives me an extraordinary buzz – especially when we get the forecast right! The analytical and communication skills practised at Southampton give me a huge advantage. And the Physical Geography units armed me with an essential toolkit of answers when tackled about the big questions of our changing climate. It’s only in the years after my graduation that I’ve realised just how good a grounding my Southampton Geography degree gave me. My job combines the hard science of meteorology with people’s real human concerns and the art of broadcasting. The mix of arts and science in my BA course was the perfect preparation.